Your bedroom is your most loved corner in your house. Or maybe for most of the people it is. Just look at the image below. I can tell that any reader who’d look at this picture would want their bedroom designed in such a way. And surprisingly you can have a bedroom as spacious and as beautiful as displayed below. It is not a pricey deal; it is just a deal of clever storage! Yes, getting the right storage fits you can have a bedroom as beautiful and as spacious as the one above. So how can you tidy up your bedroom to make it more beautiful and spacious? Read on to know some intelligent storage solutions to have a blissful and idyllic bedroom! 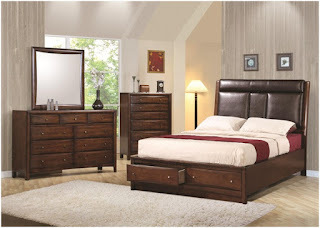 Storage bed also popularly known as ensemble bed is a must if you want to make a small bedroom spacious. It works in two ways for you. First, the bed performs its primary function of providing good sleep. Second, it has enough space to store things; Hence, a two-in-one solution. Storage beds nowadays have amazing designs you choose from, they look beautiful and the huge drawers they possess are quite functional in storing items like clothes, boots, linens, and so on. This is ideal for those who don’t have enough space for colossal chest of drawers. You can get custom-made drawers designed to fit into limited space. Another great idea is to get dressing tables without mirrors. Instead of mirrors, attached are extra drawers. The drawers give you the required storage without galloping more bedroom space. These kinds of shoe racks consume very less space on a small corner of a wall. Also they prevent footwear from staying on the floor and tarnishing the floor thus preventing frequent cleaning of that area. The racks that are kept on the floor may also sometimes take up a lot of space especially when you pass through a narrow pavement to the exit of your house. These hanging racks are probably the simplest ways to keep your footwear organized in the least space. Need any kind of professional assistance? Feel free to contact us for all your self storage, personal and commercial storage needs. How Did The wave of Spick-And-Span Storage Solve Storage Problems? Self storage is absolutely contrary to the fact of storing items that you don’t need currently but will need in future in a manner that leaves them of no good value due to the storage process. This includes loading items in small room or garage without giving concern to the items’ longevity, thus cluttering the room, and damaging the items over a period of time. Self storage facilities brought in a wave of ‘spick-and-span storage’ where now people are given storage spaces by storage companies. People can rent the spaces and have full control over the space till their lease period matures. People can now store anything from small household items, small business supplies, inventory, and car to large organizational equipment. All the items stored are protected against slightest damage like distortion, damage due to natural disasters like fire and so on. You can rest the worries of incidences of theft on good storage facilities that have advanced surveillance and security devices to prevent any thefts. In case of any kind of damage, ensure that you are getting a sufficient insurance cover from the storage company. The self storage companies provide different types of storage units, satisfying both- the commercial tenants as well as residential tenants. Select from the best relocation services in Beirut that provide moving services also. Get moving vans, and trucks running to your doorstep to pick up and drop your items to the storage houses. U-haul truck rentals are also available for people who want to transfer big volumes of goods to a storage container.